"From slow romance to dance floor fling with sky-high solos and tempo shifts that defy any metronome, the quintet just flows on its own time, in its own space and we step into that river as true disciples and ride the tide." Cannonball Adderley and his swinging crew - brother/cornetist Nat Adderley, bassist Victor Gaskin, backbeat king drummer Roy McCurdy and bursting-at-the-seams-with-new-ideas pianist Joe Zawinul - were in the midst of a musical high point in 1966-67. Among many adventurous and legendary jazz releases in the high times of hard bop, and the imaginative pop explorations of Sgt. Peppers' Lonely Hearts Club Band, Adderley released his seminal Mercy, Mercy, Mercy. 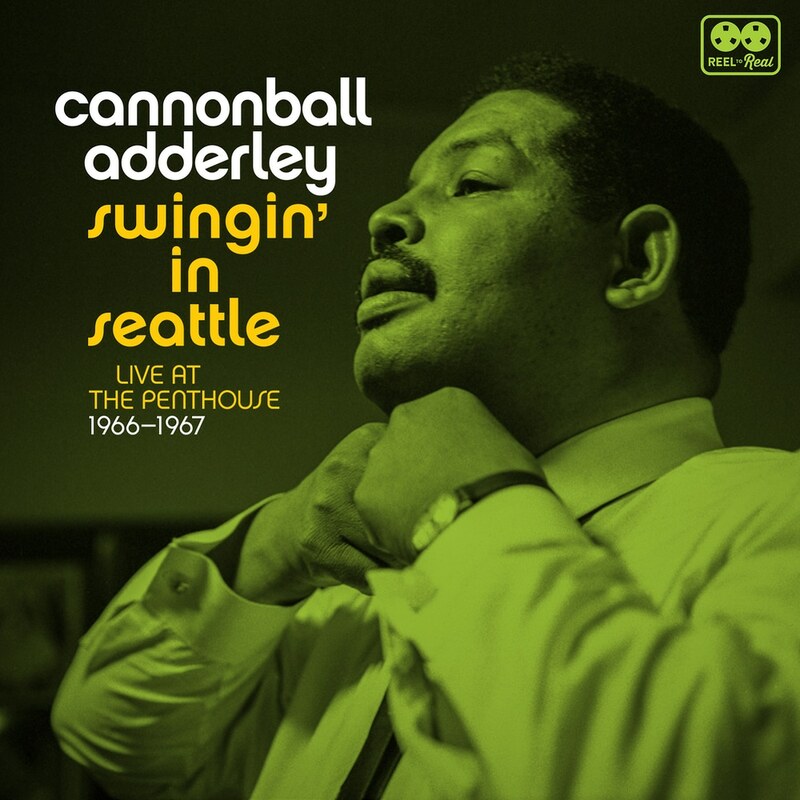 Recorded during that same time, before and after that milestone release, Swingin' In Seattle shows the quintet at the height of their powers, peaking night after night with the celebratory joy and jocular soul/blues/jazz that made Cannonball Adderley a legend in the short time that he had. A collector's must-have!